Gary DellaPosta is a Certified Public Accountant in Massachusetts. He founded his own firm, Gary M. DellaPosta CPA, in 1982 and focuses on small business accounting and income tax preparation for companies ranging in size from $200,000 to $80 million in revenues. A graduate of Bryant University, he is a member of the American Institute of CPA’s as well as the Massachusetts Society of CPA’s. In addition to providing accounting, tax and advisory services to individuals and businesses, he also provides litigation support to attorneys and has been recognized as an expert in numerous Massachusetts’ courts. He has been a Corporator at The Cooperative Bank of Cape Cod since 2012 and on the Board since April 2013 where he serves as the Chair of the Audit Committee and serves on the Governance and Compensation Committees. 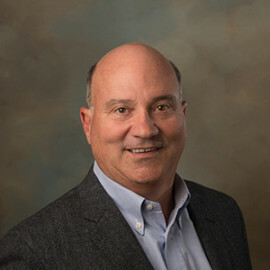 In addition to his service at the Bank, Gary has held directorial and trustee roles with several financial institutions over the past two decades. He sits on the Board of the Barnstable County Mutual Insurance Co., where he serves on the audit, investment and employee benefit committees, and is a former director of Eastern Bank and Plymouth Savings Bank. He is also the former Treasurer of the Community Health Center of Cape Cod and a former trustee of Heritage Museum & Gardens. A resident of Falmouth, Gary received his Bachelor of Science from Bryant College and brings tremendous experience and leadership to the board.